TV critics may want to revise their 2013 Best and Worst List (a lesson: you should never release it until after the year is officially over). Yep, the TV Gods still had a major shockeroo to throw our way: the worst and most shocking soap firing just occurred. 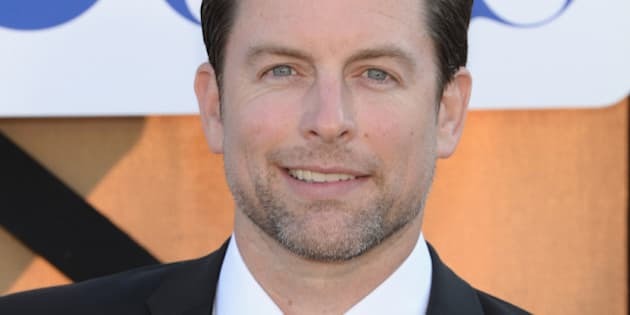 On Tuesday, "The Young And The Restless"s talented leading man Michael Muhney announced on Twitter he was voted off the soap island in his uber-popular role as Adam Newman. Immediately, stunned fans and press went into soaphylactic shock. The devastating news delivered such a crushing blow that "Y&R" began trending on Twitter for the first time. The Mensa member's last day of shooting is Thursday; he will last air on January 30, 2014. A CBS rep declined to comment. The "Veronica Mars" scene-stealer came on to the daytime TV scene as an accidental soap star of sorts. He first debuted on the number-one soap opera in 2009, when he took over the legacy character from Chris Engen, an actor who walked away mid-contract due to objections over Adam's storyline and character direction. A consistent prime-time TV character actor, Muhney surprisingly fell in love with the soap opera genre. He also became a co-champion for the art form, even spearheading Daytime Emmy Awards reform a couple of years ago. For his efforts, Muhney was nominated as Outstanding Lead Actor in a drama series this past year by the Daytime Emmy Awards. In his first exit interview, Huffington Post Canada TV exclusively spoke with the 38-year-old actor moments after he announced his departure on Twitter to find out what happened, how he found out about his imminent exit from the soap world, if the role will be recast, details on his final scenes, and if he'll consider doing soaps again. HuffPost Canada TV: What the hell?! Are you as shocked as we are? What happened? Michael Muhney: I was informed Monday night at work. I was told "We're going to be letting you go." Everyone knows I always have something to say. I'm a chatterbox, laugh all you want, but I was rendered speechless for about five minutes. I didn't utter a word. There was truly a moment when I thought I was having a very vivid, surreal dream and I couldn't wake up so I could tell people I was having an awful dream about "Y&R" letting me go. So, unless this is a really long nap I'm taking, it's not a dream and it's really happening. I was told at almost the exact same time my aunt found out she had officially been diagnosed with breast cancer. Almost within the same hour. So, that has helped me with perspective, in terms of what's happening in the real world. We're just talking about one guy who lost a job. Hey, there's no business like show business. So I want to say, first and foremost, there are more important things people are dealing with in the world today. Who told you? And what's the official reason for your departure? [Executive Producer] Jill [Farren Phelps]. We had a private talk in her office. She's always been very kind to me. We have a good rapport. It was intimate ... the way it was handled. [Pauses] Part of me feels this is because I've always been outspoken, and sometimes I've been too outspoken. Sometimes I've walked around with a big backpack full of hubris. That is entirely on me. CBS, Sony, and Jill Phelps are not to blame for that. If I'm going to claim to be a grown man, I have to own that. But it could be financial or story. It was explained to me that CBS and Sony want to give Adam a break for 3-6 months and then they'll bring him back with a different actor. Maybe he does need a break. Adam has been on screen a lot. He's not being killed off. It's no secret that you and your co-star Eric Braeden [Victor Newman] have had your differences. Was he involved in your firing? I do know one thing for sure: I really look up to and respect my friend, [Emmy-winning "General Hospital" star] Maura West. She had the most dignified walk down The Green Mile that I've ever seen [when she was fired from "Y&R," too]. In her final days, when her character was dead woman walking, she held her head up high and was classy and professional right until the end. I plan on doing the same thing with everyone I've worked with on the show. I'll apologize for when my character bled into my real life at times and if I was intense a few times. But I'll let everyone know how blessed and honoured I was that I got to work with them all. I got to be an actor in a land where you can play dress-up and pretend with a collective group of other talented actors. I'm going to take Maura's lead. If there were disagreements in the past with Eric, for me, it has to be history. "Y&R" fans are obviously bereft you're leaving and are threatening to stop watching. I wish I had an answer for all the fans. Life happens when you're making other plans. "Y&R" is a TV staple and it's bigger than one individual actor. It will continue without me. The fan love and loyalty means so much to me, and the love and friendship of my co-workers. I feel like I'm leaving a very, very dear friend and mentor in Peter Bergman. Also, I'm leaving behind Sharon Case and Melissa Claire Egan, two phenomenal co-stars and friends. I've done a lot of pilots and projects which never made it in my career, but being let go is a first for me with multiple children. Back when I wasn't a father, it was much easier to move from job to job. Ironically, my greatest acting performance is the one that will never be seen: and that is the strength I display in front of my kids when things get tough. [With trembling voice] I'm their leader --and they're going to have a great Christmas if I have anything to say about it. Yes, I was let go before Christmas, but I choose to look at it positively: My kids are off school for holiday break, so I will have lots of time to spend with them, I'm going to soak up their innocent love. That's my focus now. I realize I live in a world where my career, actions and income impact three little people and my wife. I have to be cognizant of that. I take a lot of pride in my acting and my skills that I have worked very hard to sharpen in the past 16 years, but I pride myself even more on being a father and taking care of my family. That's going to be tough to face. In its 40th year, "Y&R" has lost four of its most popular superstars: you, Michelle Stafford, Jeanne Cooper -- who passed away in May -- and Billy Miller. As a fan and industry watcher, do you think "Y&R" can survive this mass exodus of its most talented and popular performers? While Billy and Michelle quit, Billy wanted to stay but couldn't agree on contract outs. Michelle told me she would have stayed as well if she still felt inspired by Phyllis. "Y&R" experienced a lot of loss this year. Bless his heart, on his last day Hartley Sawyer [who has also been let go as Jack's son, Kyle] was more concerned about me when I told him I was leaving! His jaw dropped. We both sat in my dressing room and just talked. It's still hard to process. But, hey, I get to walk out of that building on Thursday with a great actor and friend Billy Miller. It's been an interesting journey. What I envy in guys like Hartley and Billy is that they're single and don't have kids, so anything is possible. But I know, while this is new for me, it's healthy and good to be knocked off your center. I've been thrown into many a deep pool in my life and you can either choose to swim or sink. So, I'm going to break out my best breaststroke and see where it takes me. As we're talking now, "Y&R" is trending on Twitter. Wow. I don't know what to say. It's powerful, what I'm feeling, but it's not all positive. It's a conflux of sadness, disappointment, heartbreak, humility, warmth, and a reality check. I'm saddened. I poured my heart, blood, sweat and tears into this show. They say, you don't know what you've got until you lose it, so maybe there's a bit of that, but I try to be a grateful guy most of the time. Did you anticipate they were thinking of letting you go? Or was this a blind side, a la "Survivor" tribal council? I saw it coming, and I didn't see it coming. I suspected it could happen, but I didn't think that it really would -- at least not now; maybe down the line. I worked four-and-a-half years on "Y&R." I've been able to enjoy a candle that burns at both ends and a spotlight that burns so bright that maybe it burns out a bit faster than others. I felt like my version of Adam might not last forever. I never called in sick. I never even arrived on time -- I was always early, sometimes hours early, because I wanted to be sharp with my dialogue. I even went into work the day after I snapped my collarbone in half and they worked it into the show! I always gave a 100 percent effort all the time. I believe in being professional at all times. Some fans and critics were worried about your future on "Y&R" when Adam ran over and killed Delia, Billy and Chloe's daughter. Did that raise a red flag for you? No. I just thought it was going to be a great story to tell. All I know is whatever load they gave me I tried to carry it with integrity. If a tiny little ant can carry 100 times its weight, I should be able to carry my weight. I'm proud of the stance I made on the show. Gosh ... I can't believe I'm doing an exit interview as I'm heading into the CBS studios right now. I just realized I'm going to pull into these gates only a couple more times. Yesterday, I filmed goodbye scenes to Chelsea, Jack and to Adam's son, Connor. I didn't know at that point I was gone. [Voice cracks] I hope I made some kind of impact. Let's talk about your future: Would you do another soap? Or are you done? Let's put it this way, I'll consider Broadway, TV, soaps and film. I see the world differently than I did five years ago: it's all acting. And that's what I love. Given the opportunity to play another amazing role and be paid so I can put food on the table for my kids, I'd do another soap. I'm in. I'll come in with my heart because that's the only way to do things. We're paid as actors to be vulnerable and wear our emotions on our sleeves, so we tend to be more dramatic than the norm. That's a part of my personality and I'll continue to be that way as long as professional. Arrogantly, when I began on "Y&R," I thought I would take this role for a couple of years, make an impact and return back to prime time and film. But somewhere along the way, I fell in love with the process and the medium. When you become a champion for things that defend that medium and its integrity, you become invested. There are some people -- not all -- who have moved on from soaps in their careers and received huge fame, but they don't acknowledge soaps. If I never do another soap again, and I'm able to find lightning in a bottle this pilot season and find a special character like Adam and a job I'm passionate about, I'll always think fondly of the people involved and be proud of my soap career. Also, I'm proud of the incredibly passionate fanbase that exists in soaps. Some look down on soap fans, but they're just as amazing as any other audience base out there. I'm not a martyr. I've made mistakes along the way, but even my missteps were all about forward momentum. Mike Tyson said, "Everyone has a plan til they get punched in the mouth." But like Victor Kiam said, "Even if you fall on your face, you're still moving forward." I feel like I've learned a lot about an industry I find fascinating. And one that I'm in love with, by the way. If you only have one life to live, if you can have growth in life, you did something right. And I'm always growing, as an actor and a person. Finally, when you think of your journey as Adam Newman, what do you think of? Favourite Adam moment? The very first episode I ever aired. Hearing "Nadia's Theme," I heard the great, booming voice of Peter Bergman say, "The role of Adam Newman will now be played by Michael Muhney." That probably tops it all. So began my fairy tale with the show .... and the rest from here is happily ever after.